Synopsis: The Doctor, having just regenerated, finds himself on exiled on Earth helping UNIT. Strange objects have fallen from the sky, as a forerunner for the Nestines to conquer Earth. Though most of episode one has The Doctor unconscious, we quickly get a good idea of who The Doctor is now. He’s tricky, he’s clever, and he loves a bit of action. We get reintroduced to UNIT who are investigating falling meteorite, they also find the unconscious Doctor along with the TARDIS. This gets Brigadier General Lethbridge-Stewart excited, thinking The Doctor has returned. He finds out about this while interviewing a young woman named Liz Shaw, so he brings her with. 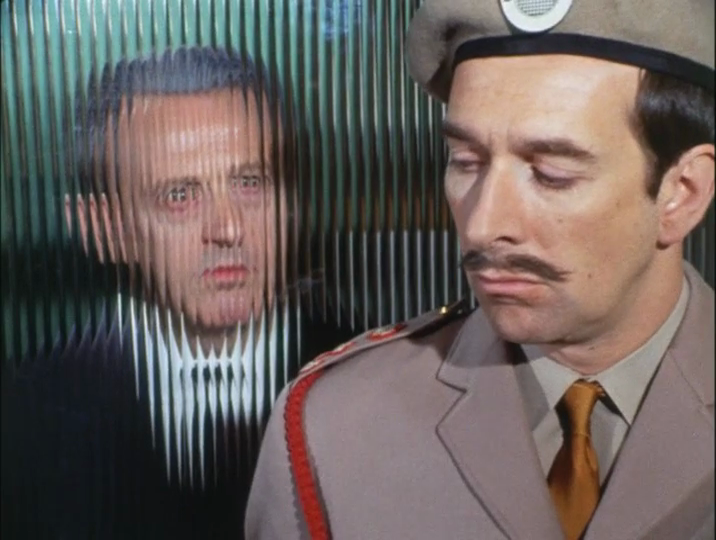 Sadly, the man in the hospital bed does not look like The Doctor, but he recognizes Lethbridge-Stewart. We learn The Doctor has two hearts for the first time. The Doctor gets kidnapped by some strangers, but quickly breaks free, and tries to get to the TARDIS, only to be shot by the UNIT guards. They take The Doctor back to the hospital where the physician says, “He’s more unconscious than anyone I’ve ever seen!” Which is the most amazing line of dialogue, ever. The production quality is vastly different than the previous seasons. They reduced the number of episodes from forty-something to a more manageable twenty-something. This serial, is a bit unique in that it was completely filmed on location on film. Usually Doctor Who has a few scenes filmed on location on 16mm, and the rest is video taped in studio. This makes for a very drastic change in Doctor Who. The mystery of the fallen spheres takes a back seat to reintroducing The Doctor, Lethbridge-Stewart, and introducing Liz Shaw. Episode four seems to finally get into the plot, where the plastics company is making models for Madame Tussaud’s, oddly though of top civil servants, not of famous people. 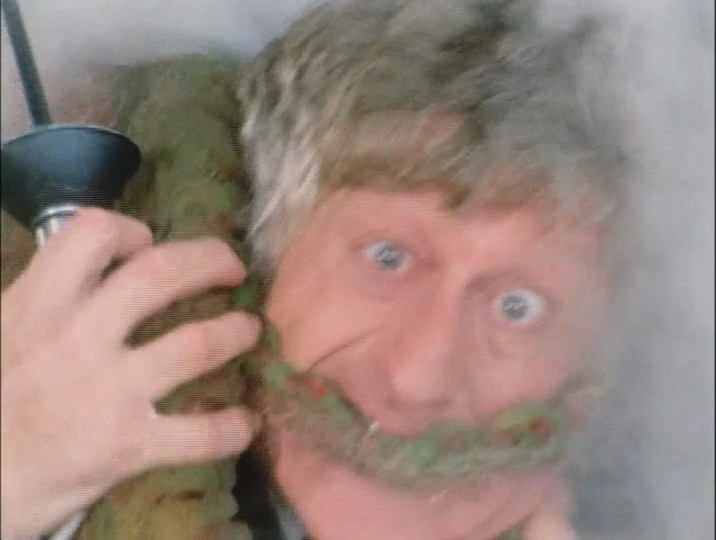 Perhaps what make Jon Pertwee so great of a Doctor is the elasticity of his face. He’s able to bring a great level of comedy to Doctor Who. The comparisons to “Rose” are really easy. Both Spearhead From Space and “Rose” are the start of a new era of Doctor Who. Both feature the same baddies and have shop window dummies go on a killing spree. In both stories we have to learn to love a new Doctor. I think in some ways “Rose” is better, and in other Spearhead From Space is better. 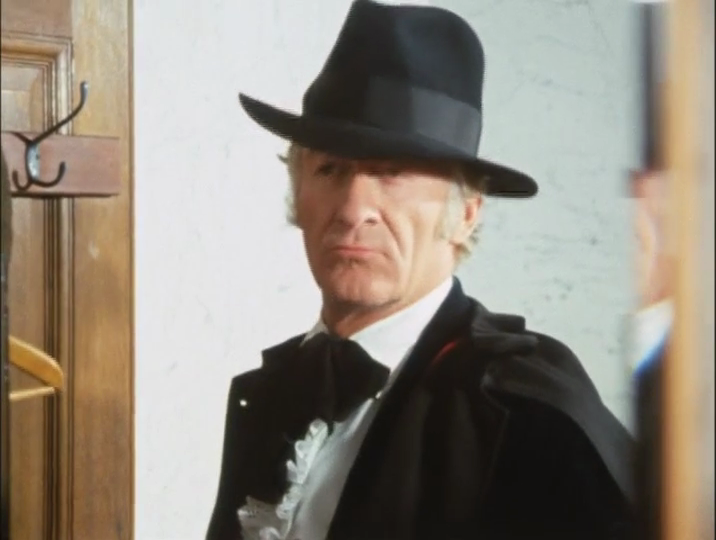 I don’t know if there’s a lot of comparison between Christopher Eccelston’s version of The Doctor and Jon Pertwee’s. Eccelston plays a damaged man who is looking for a bit of fun. 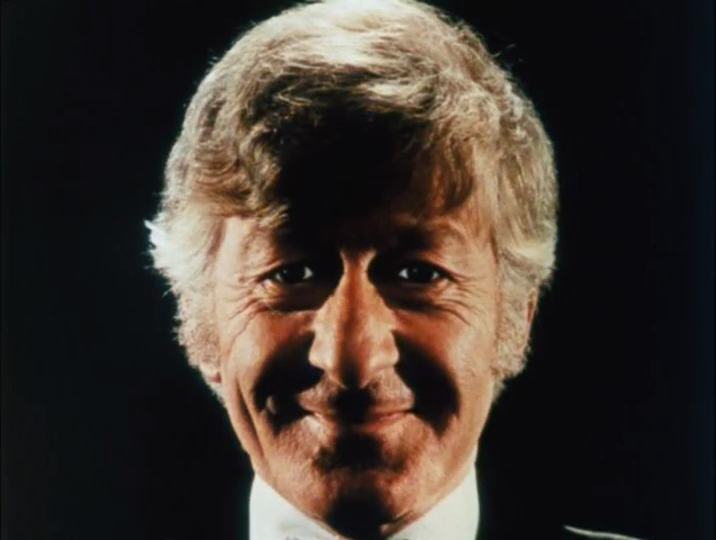 Pertwee is trying to remember who he is, and hoping to run away. In the end, these are two great Doctor Who stories.